Snoopy in space! Charles Schultz's beloved beagle gets the Bearbrick treatment with this Peanuts Astronaut Snoopy 100% Bearbrick Figure! Based on the Apollo 10 lunar landing, Snoopy and other Peanuts characters were used as part of NASA's call signs during the mission. 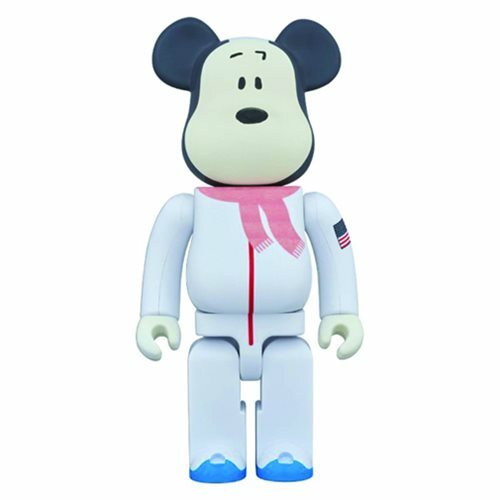 To celebrate this moment, Bearbrick designed an Astronaut Snoopy. Collect a moment in history with this Peanuts Astronaut Snoopy 100% Bearbrick Figure. Measures about 2 3/4-inches tall. Ages 15 and up.